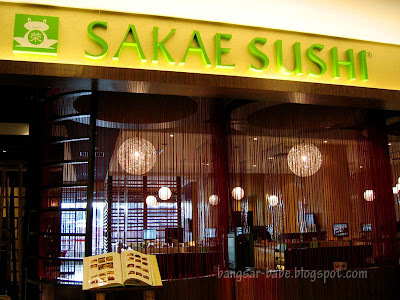 When it comes to convenient and affordable Japanese food, I usually go to Sakae Sushi in Bangsar Village. The food isn’t great, but it still makes a decent meal when I’m feeling lazy or broke. Chicken Teriyaki Bento…during the pageant. 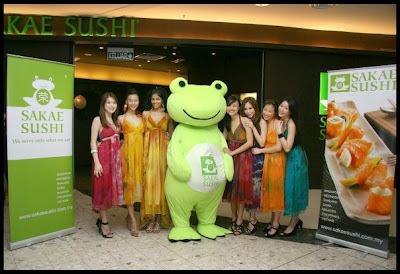 Sakae Sushi was one of the sponsors for the Miss World Malaysia 2009 pageant.I remembered the meal we were all given –- chicken teriyaki bento. I didn’t like that bento set and I had to eat it twice. It was hard keeping a straight face and going, “Mmmm…this is good stuff!” to the videographer. 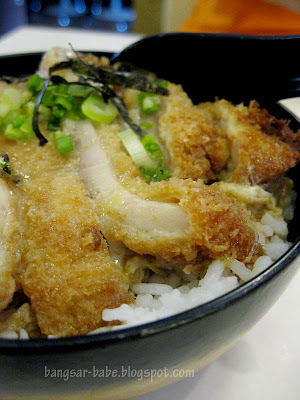 >.< Give me the chicken katsudon and that’s a whole new story altogether. I can’t get enough of this. Rice drenched in onion gravy, caramelised onion slices and topped with crispy chicken strips and egg — what’s not to like? rif shares the same sentiment, and it’s hardly surprising to see us with a bowl of chicken katsudon each when we’re at a Japanese restaurant. 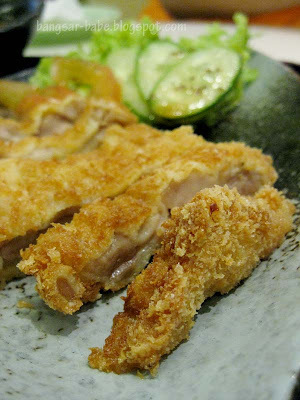 Sakae sushi’s version (RM12.90) was just average; the chicken strips were soggy from the gravy. They should have poured the gravy over the rice before putting the chicken on top. 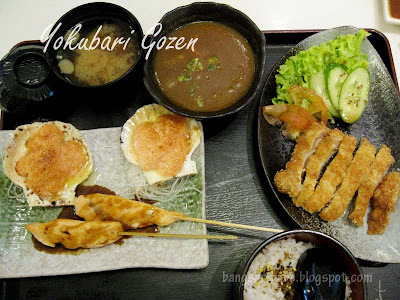 I felt particularly greedy that afternoon and went for the Yokubari Gozen (RM28.90). It took more than 30minutes to arrive (it wasn’t even a full house). By then, I was ravenous and annoyed, and rif was almost done with his katsudon. The set comprised breaded chicken cutlet with Japanese curry, scallop grilled with codfish roe, salmon teriyaki, Japanese steamed rice and miso soup. 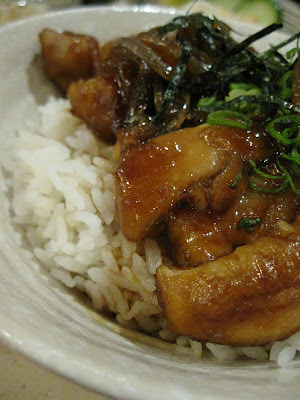 Japanese curry is thicker (almost stew-like), sweeter and milder compared to our local curries. The chunky curry tasted pretty good with the crispy chicken slices. Scallops were nicely grilled, and the codfish roe with mayonnaise was both sweet and creamy. The salmon teriyaki wasn’t very fresh, and the teriyaki sauce failed to hide this problem. 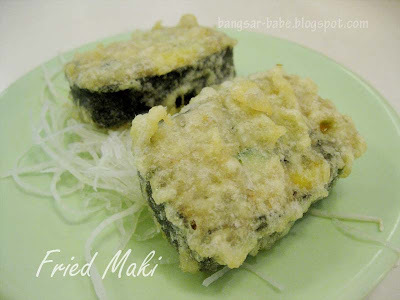 We both like eating the fried maki (RM1.90) — a combination of rice, roe and seaweed cooked tempura style. This was nothing great, but strangely addictive. 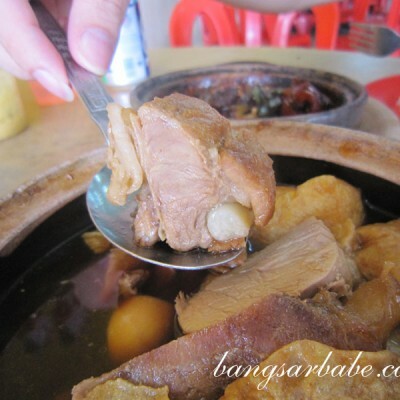 While the meal wasn’t fantastic, I’ve always liked the ambiance and occasionally, the service. Oh, and look what I saw on the computer screens! Verdict: The food is ordinary, but I like the ambiance and decent pricing. 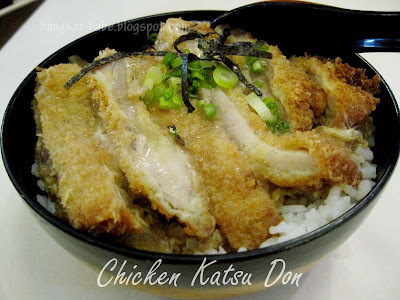 isnt katsudon meant to be all drenched with sauce anyways hehe..its abit contradicting nevertheless, hey, wheres the pork version!? 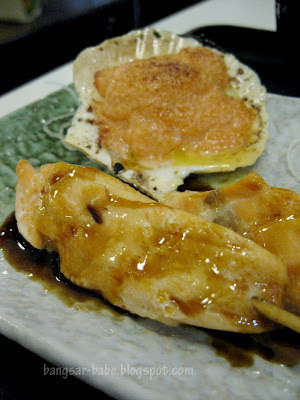 Joe – I believe the chicken should be topped with egg, but the rice is drenched with sauce. The other versions I had wasn't as soggy. I don't mind the chicken katsu to be topped with gravy, but not till the extent of it becoming a soggy mess. Pork version? 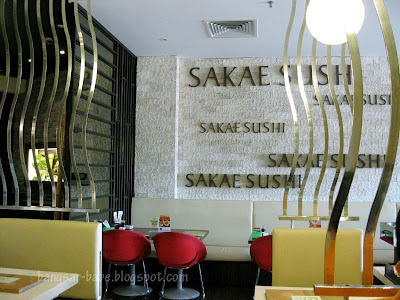 Definitely not in Sakae Sushi Malaysia. Just found your blog. What a fantastic collection of food reviews! The food there is ok but then I don't mind Sushi King's baby octopuses and grilled squid! Christine – Yeah…the food isn't great. But I like the Bangsar Village branch because it's ideal for nice, quiet lunches (no screaming kids).